First, here’s a summary of the big themes and market movers of the prior week. As the weekly chart of the bellwether S&P 500 shows, risk asset markets closed the week slightly higher but essentially unchanged from the prior week. So rather than look at what’s moving the markets (nothing much, despite the headline drama last week), it’s more useful to look at what caused the subdued trading and see if that has any relevance for the coming week (hint: it does). There just wasn’t enough bullish evidence to fuel a move higher. Hope that 40 Republicans’ joining a call to reach a fiscal cliff deal would bring such an agreement before years’ end. Markets still believe there will be a last minute deal that defers most of the pain and deficit cutting. THIS is the main reason risk assets have held steady. If markets start giving up hope, expect a nasty selloff, compounded by added year-end profit taking before capital gains rates rise. Hope that ECB President Draghi’s hints of a coming rate cut were true. The one arguably genuine big positive news was Friday’s monthly US jobs reports’ soundly beating expectations. The NFP report showed 146k new jobs vs. a forecasted 89k, and Unemployment was at 7.7% vs. an expected 7.9%. In other times, these kinds of results would send markets soaring. Instead, markets barely reacted at all. There is little upside left for risk assets in the foreseeable future, technical resistance is too strong. There are reasons to discount the results. Downward Revisions of Prior Months: The NFPs for the last two months were revised lower, bringing the average monthly job NFP for the past 2 months down from 160k to just 135k. Anticipating Future Downward Revisions From Sandy: In addition to the downward revisions to prior month’s data, it’s widely believed that more are coming, as hurricane Sandy’s results have yet to be fully felt. For example, when commenting on Monday’s weak US ISM Manufacturing report, ISM survey Chairman Holcomb said he saw just one comment on Sandy’s effects, most of which apparently will come out in weaker data in the near future. Unemployment Reflects Declining Participation: In other words, the drop to 7.7% just means more job seekers gave up looking. The participation rate, the share of working-age Americans either holding or seeking jobs, fell by 0.2 percentage point in November, to 63.6 %, very close to the low of 63.5 percent seen in August. In contrast, from 2002 to 2008, the labor force participation rate was around 66 %. In 2011, it was around 64 %.If we apply the earlier participation rates to the unemployment rate, November’s unemployment would be far higher than 7.7 %. Fiscal Cliff Uncertainty Could Dampen Hiring: Until businesses know what tax hikes and spending cuts are coming, they’ll defer hiring decisions. Progress on a deal has stalled and there is only 3 weeks left in 2012, even if Congress keeps working past its scheduled December 14th recess, so risk of the US getting hit with the full set of spending cuts and tax increases is still very much there. Fed Unlikely To Change Policy Based On The November Jobs Report: Given the above and the continued global slowdown, most believe the November jobs report was going to influence Fed policy. No meaningful progress on debt crises in the EU, US, Japan, etc. although markets haven’t seemed too worried about them for the near future. Bullish – Sheer hope: China Premier’s supportive comments that authorities would do all they could to keep stable growth (as if markets expected him to say otherwise? ), soft JPY helps Japan exporters, and a report that 40 Republicans in Congress have joined a bipartisan movement to reach a deal on the fiscal cliff before year’s end. Bearish – Actual Data: Weak EZ and UK services PMIs, poor Spain bond sale and rising Spain bond yields. Markets overall modestly higher on assorted stimulus hopes, but trading muted as is typical on the day before US jobs report due to caution ahead of the potential volatility these reports can generate. Bullish: ECB President Draghi hints of a coming rate cut. This predictably supports risk assets in Europe and the US, and slams the EUR, ending its rally for now (at least until Fed counters with new easing of its own which weakens the USD and thus boosts the EUR). The only really big data out Friday was the US jobs report which, as noted above, failed to move markets given the numerous reasons to doubt it and market focus on the fiscal cliff. So what did we learn that we can apply to the coming week? While the US jobs reports contained enough question marks do dampen their impact, uncertainty over the fiscal cliff was likely also a factor in restraining upward movement, especially in view of the firm technical resistance. As we discuss in our article on the coming week, the EU also packs plenty of background risk to consider for anyway considering new long bets at this stage. Also, despite the past week’s packed calendar, volume was overall below average. The combination of both lighter economic calendars and the Christmas/New Year’s season will start to drain liquidity too. We thus maintain our bias to safe haven assets and currencies. The likely near term fiscal cliff endgame is one that defers any real pain on deficit reduction in favor of avoiding recession risk. In the near term that’s bad for the USD and other safe haven assets, and good for stocks and risk assets. It’s especially good for the EUR because it’s the most direct beneficiary of USD weakness. If however, the fiscal cliff hits with the full set of spending cuts and tax hikes, the opposite occurs. Safe haven assets will be the place to be, especially the USD. It benefits from being not only a prime safe haven, but also from reduced money printing that comes from a material deficit cut. Hints that the ECB will ease predictably helped risk assets in general but killed the EURUSD rally. The EUR’s best hope next week is that the Fed also hints at more easing. Wednesday’s poor Spain bond auction and rising bond yields may be just a temporary move for now, but one that bears watching. As we noted two weeks ago here, the biggest threat of a severe market plunge is not from the fiscal cliff, which presents only a recession risk. However Spain needs to sell over 20 bln EUR of bonds by the end of January, and there is no deal on conditions in place yet for Spain to get OMT aid from the ECB. If its bond yields spike and Spain suddenly needs the ECB to start buying its bonds, the OMT program might not be ready in time to prevent at least enough of a solvency risk to scare markets lower. Until conditions are settled and the OMT program for Spain is ready to go, any really risk-off event that scares markets, be it a failure to resolve the fiscal cliff, another hitch in aid to Greece, whatever, risks providing the catalyst for this crash scenario. In the longer term, we continue to sound the alarm to diversify out of the USD, EUR, JPY and GPB for your longer term portfolio. 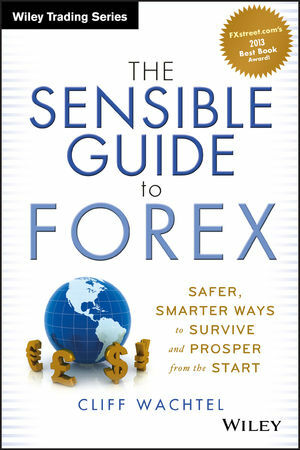 For the best, most up to date collection of the safer, simpler ways to do that, either as a trader or investor,see our book, The Sensible Guide To Forex. See here or here for details.